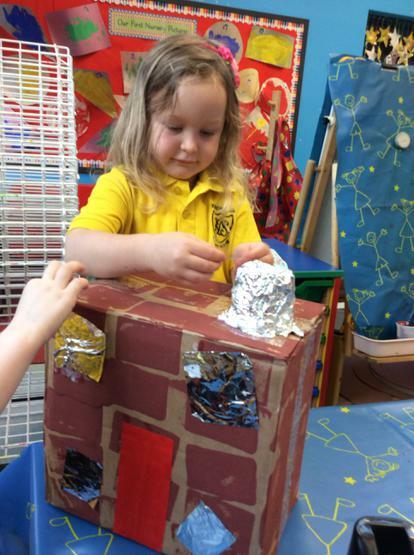 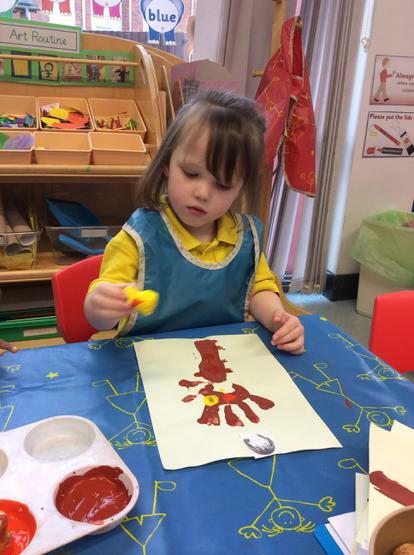 This month in Nursery we are exploring the topics of Ourselves; including our family and homes, as well as Autumn and harvest time! 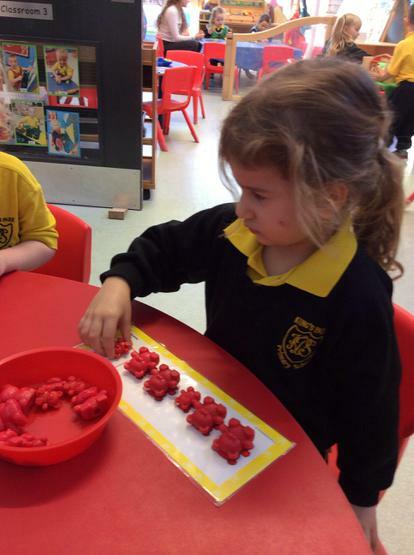 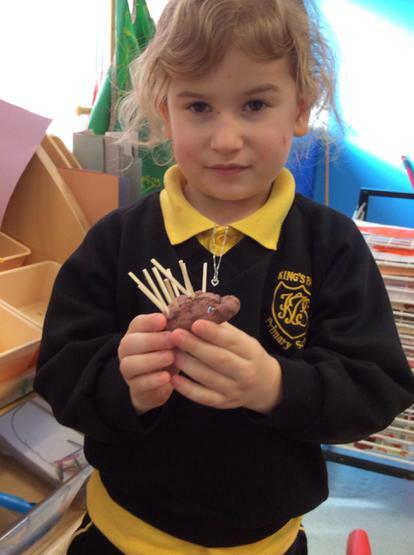 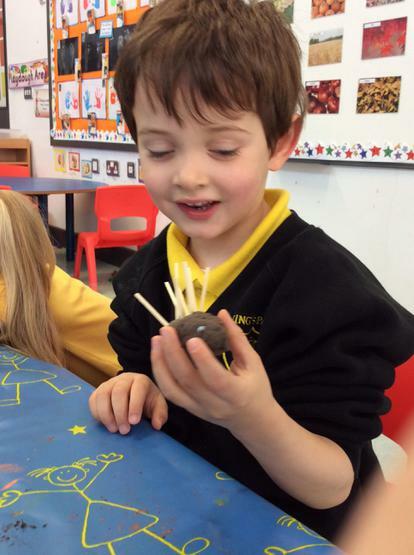 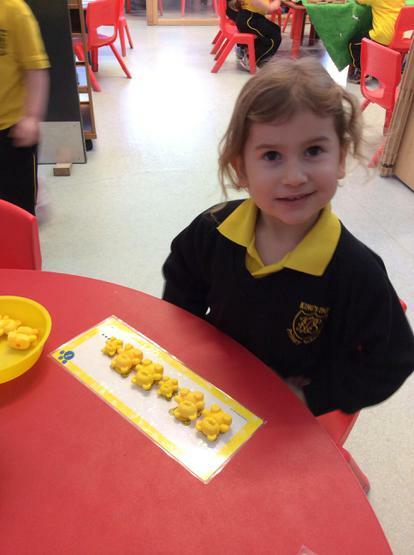 We made special dough hedgehogs! 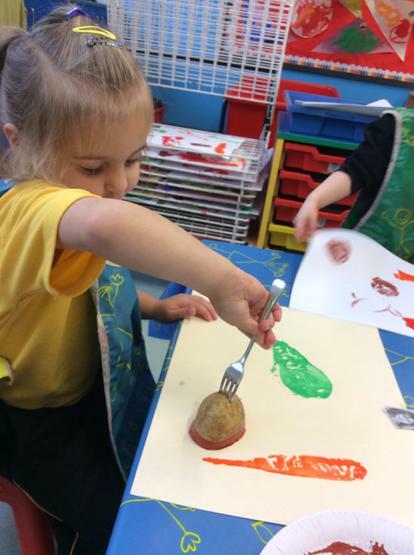 Printing with fruit and vegetables! 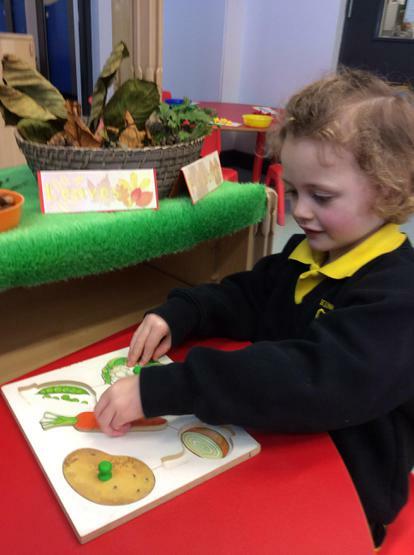 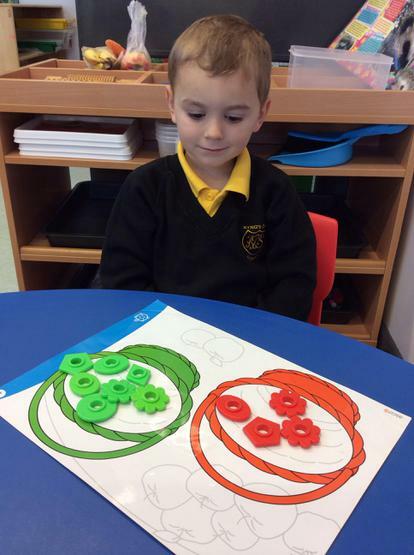 We are learning about harvest time and the names of various fruit and vegetables! 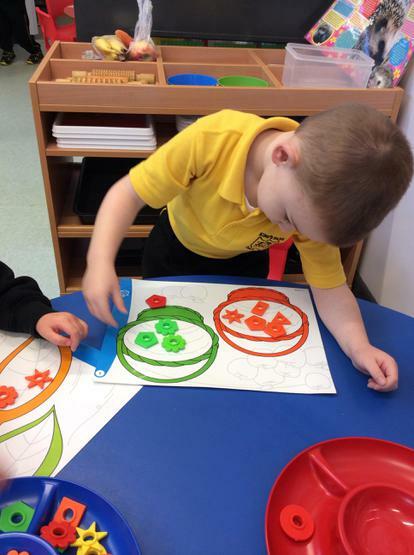 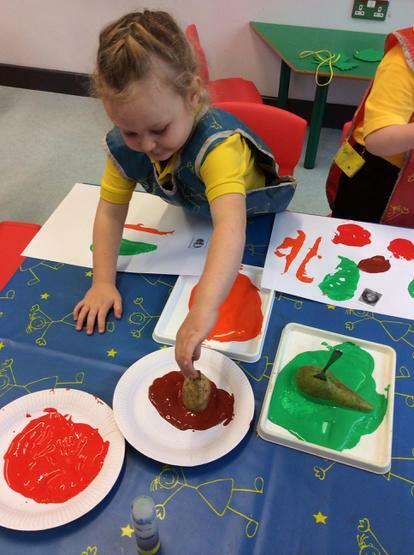 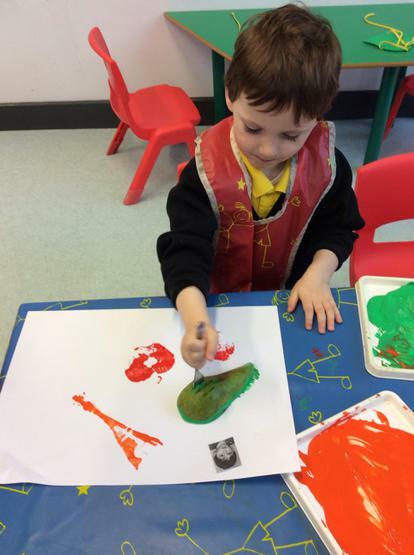 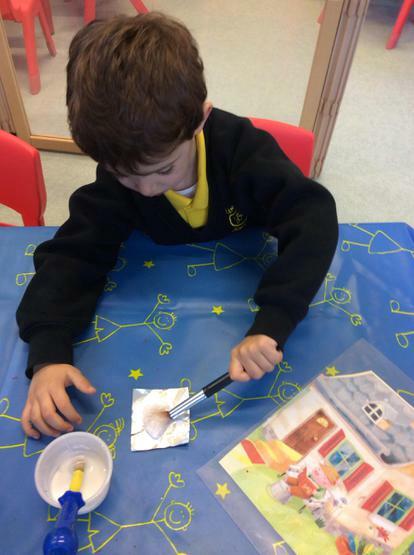 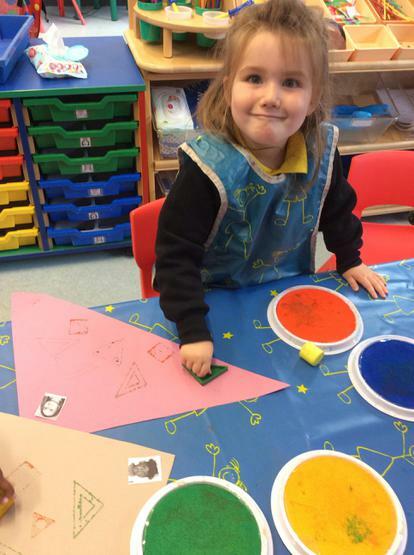 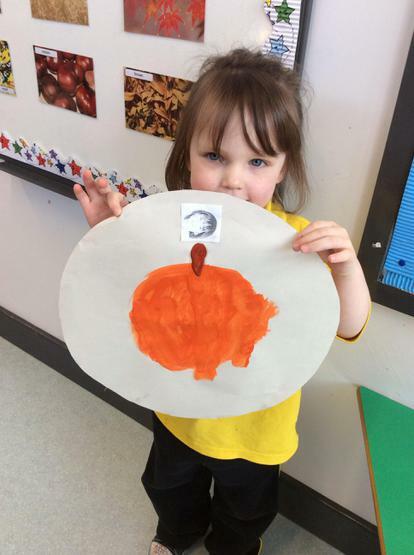 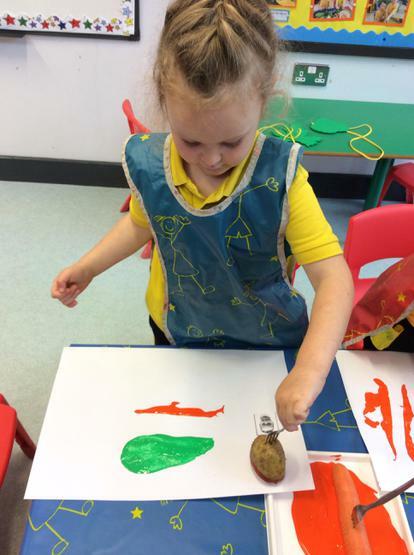 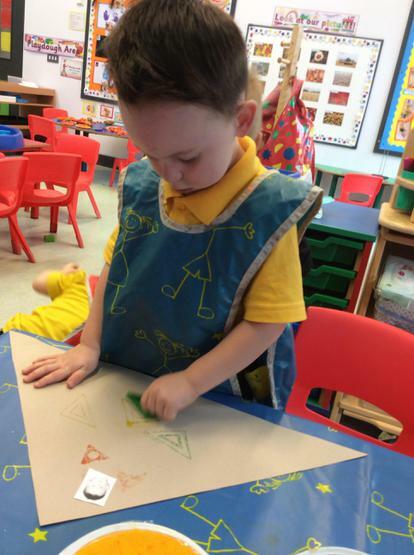 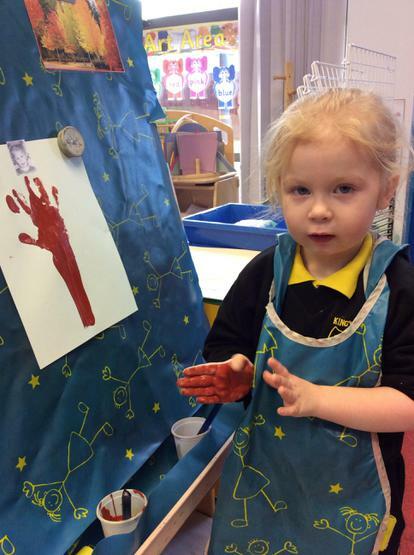 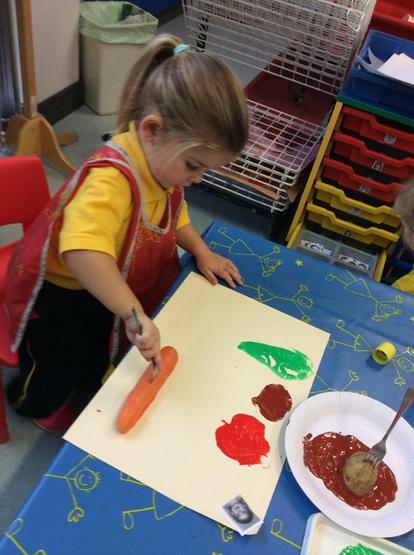 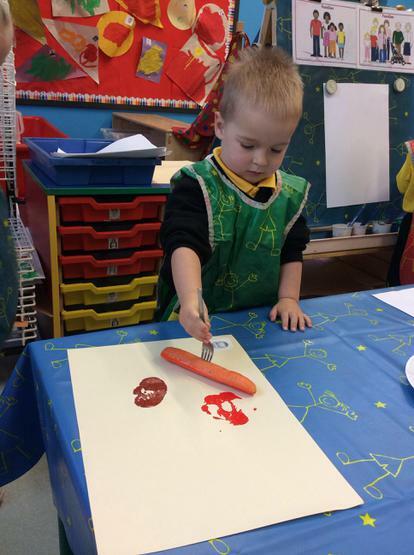 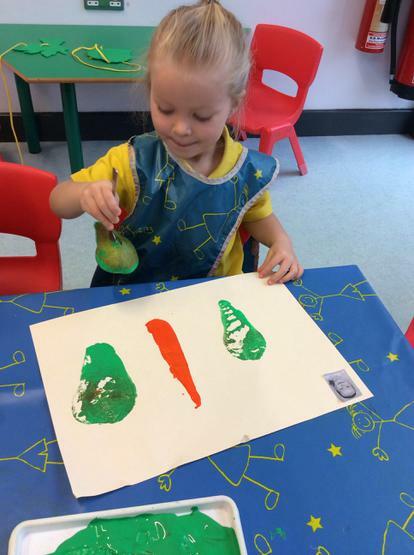 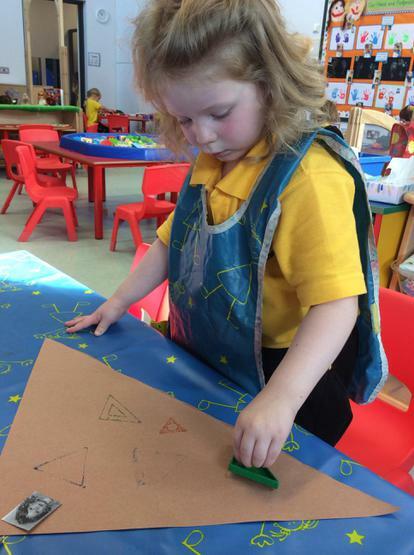 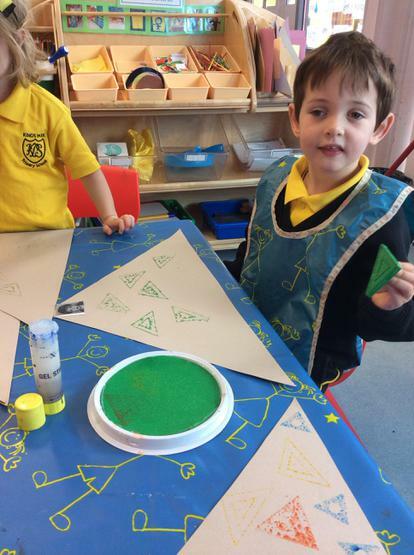 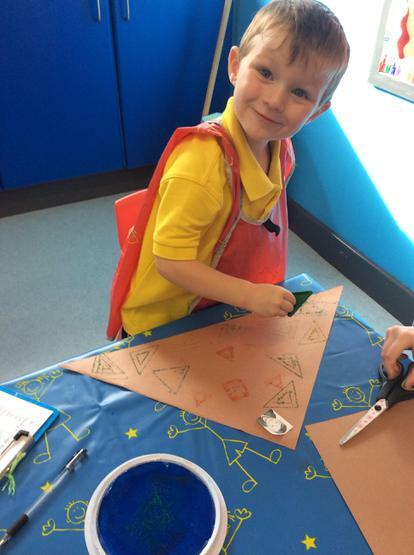 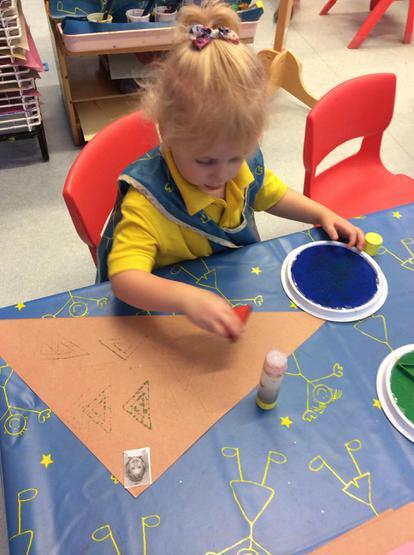 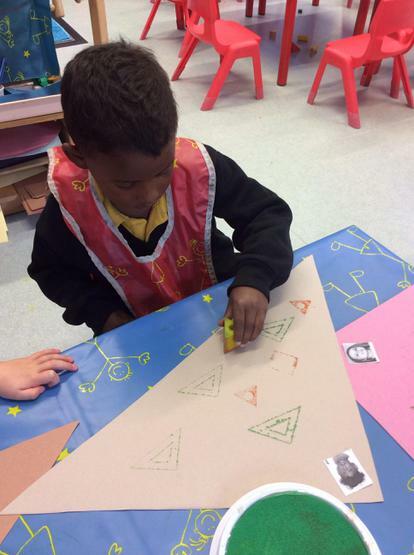 We used some fruit and vegetables to make prints! 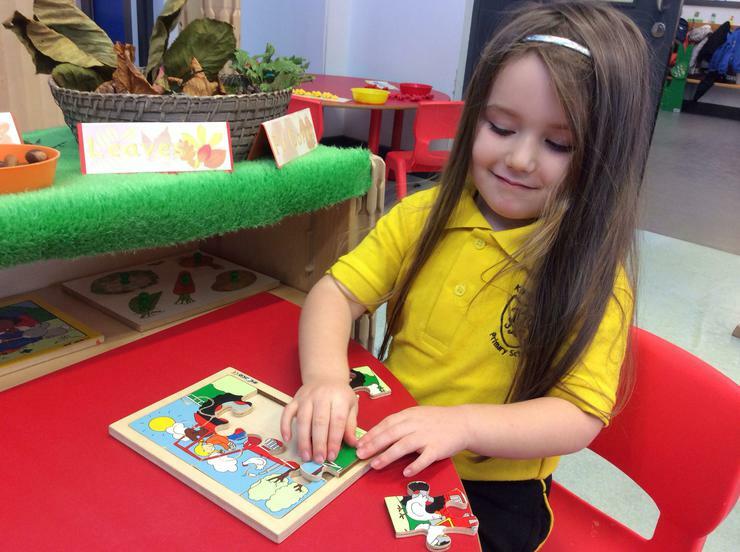 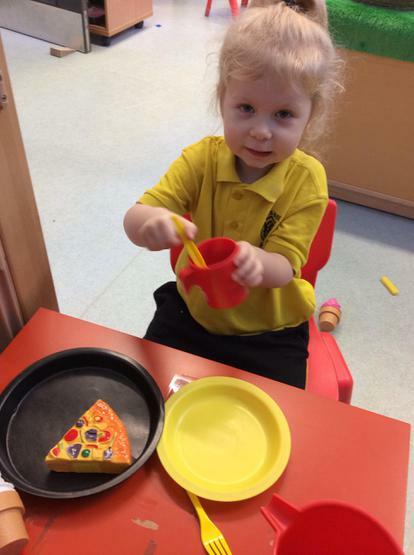 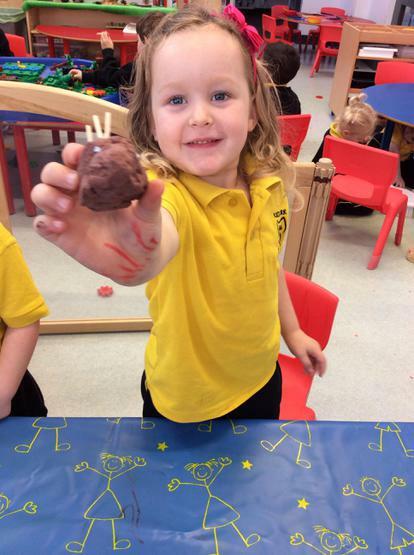 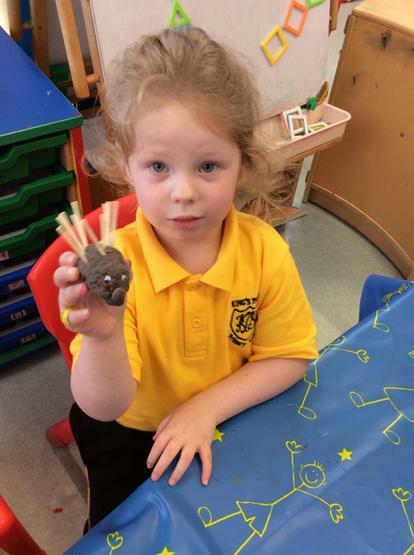 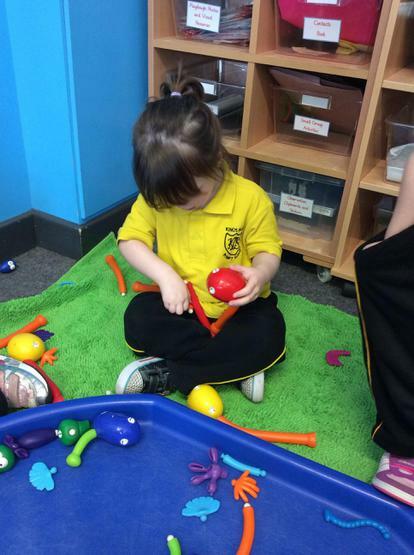 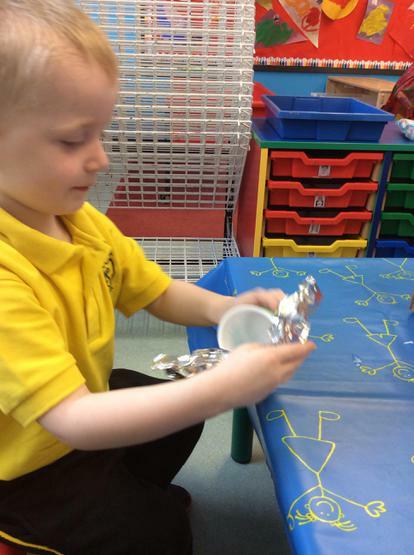 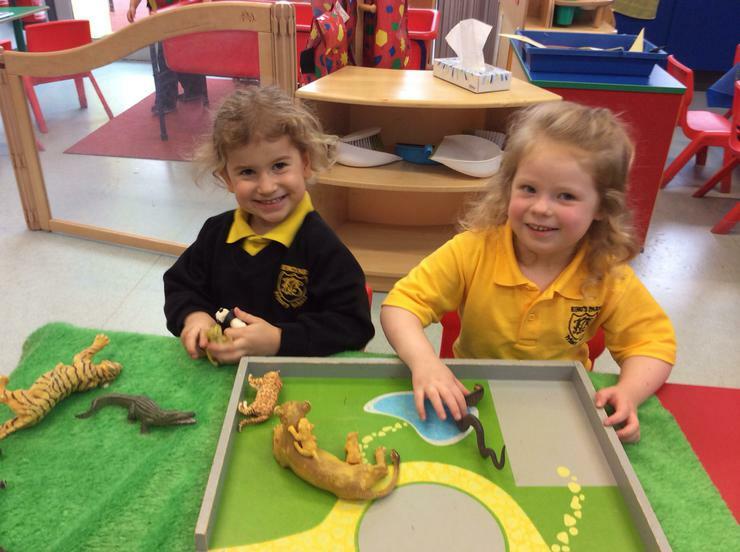 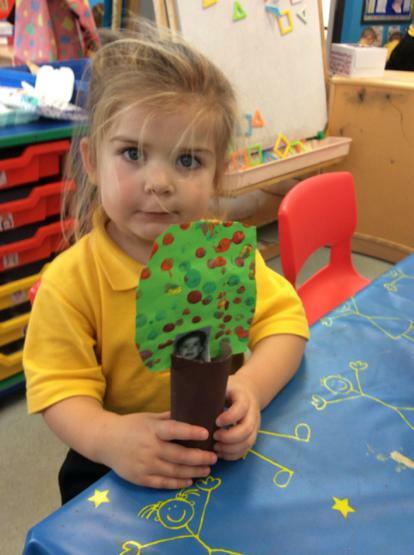 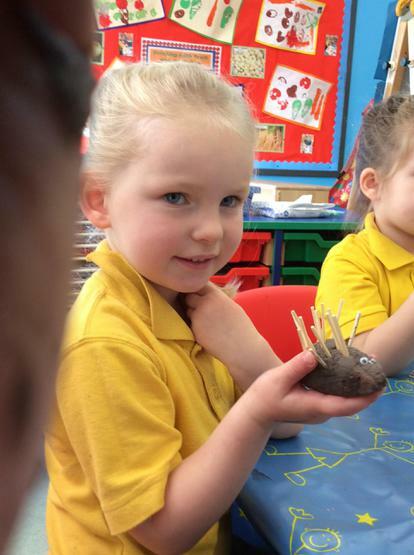 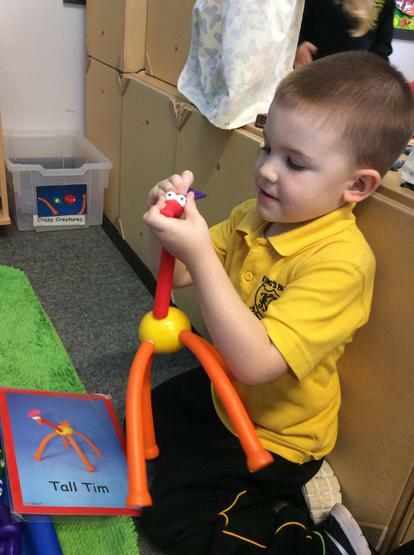 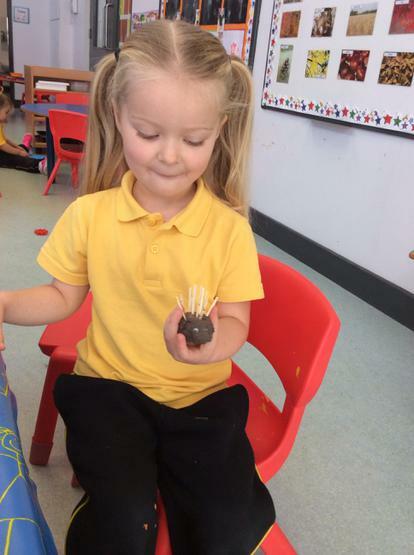 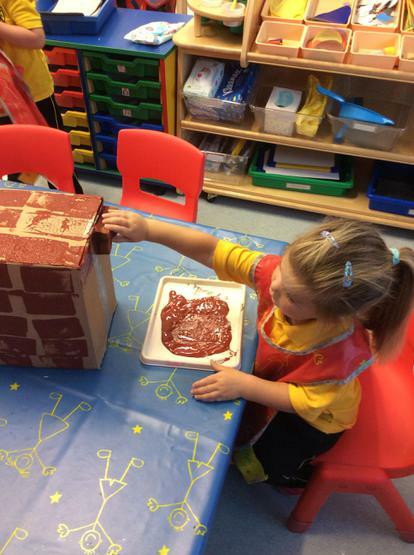 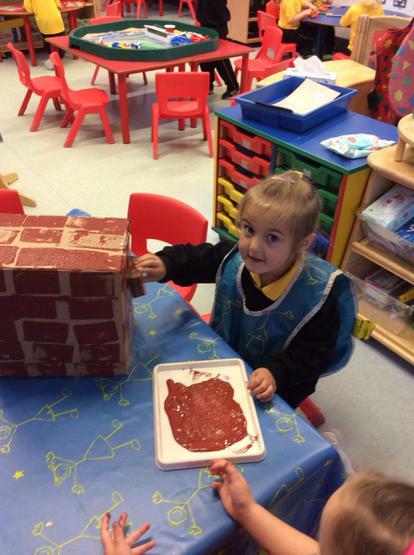 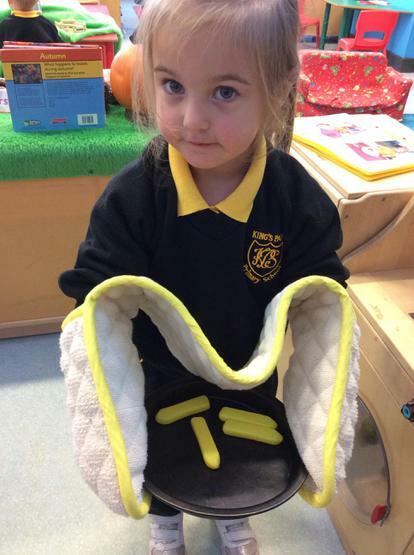 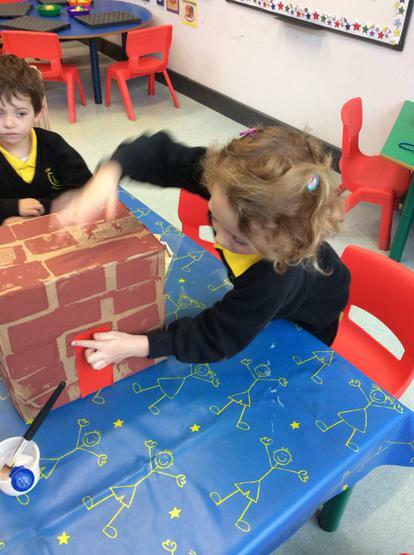 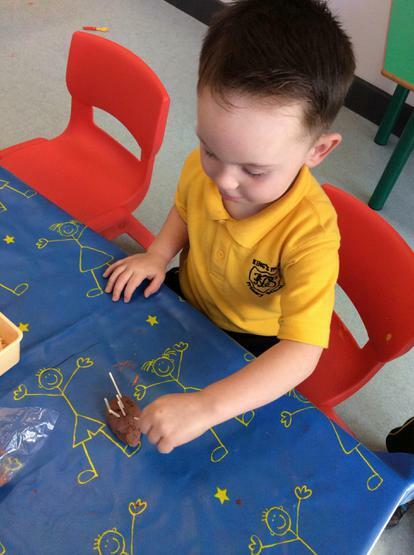 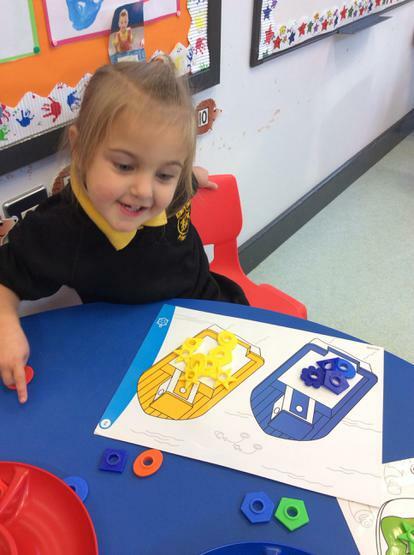 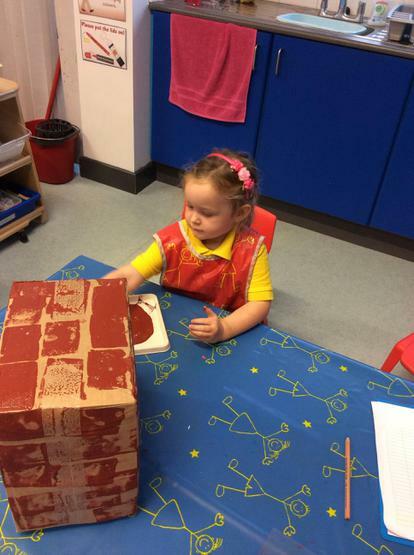 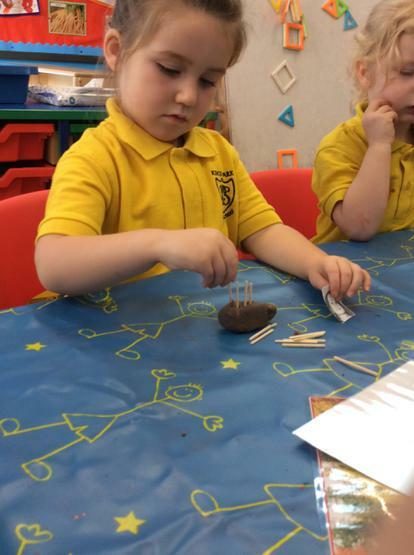 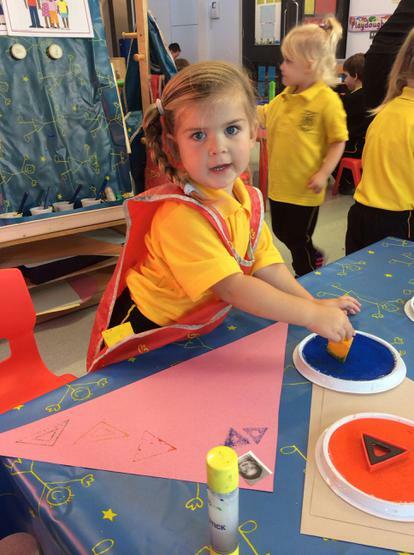 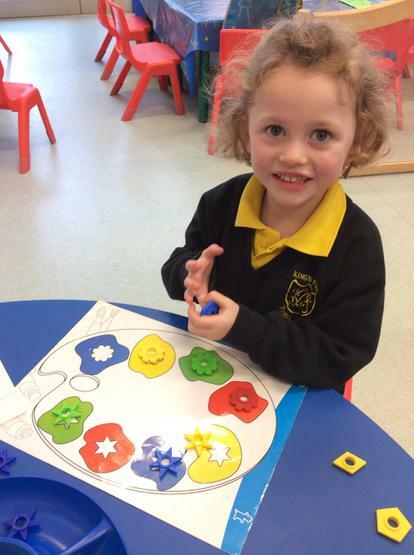 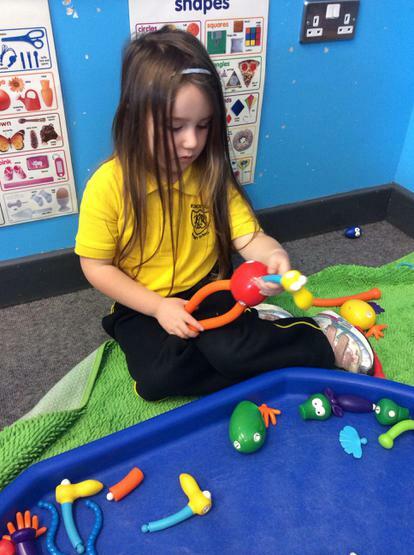 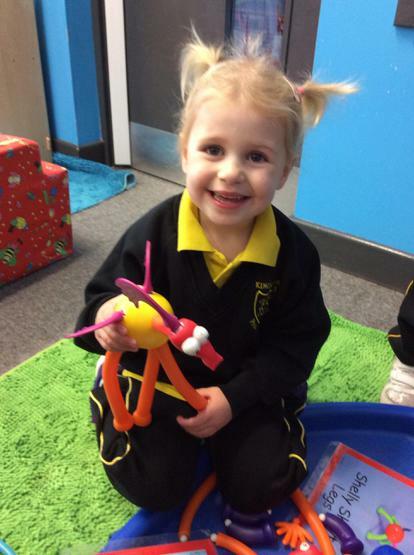 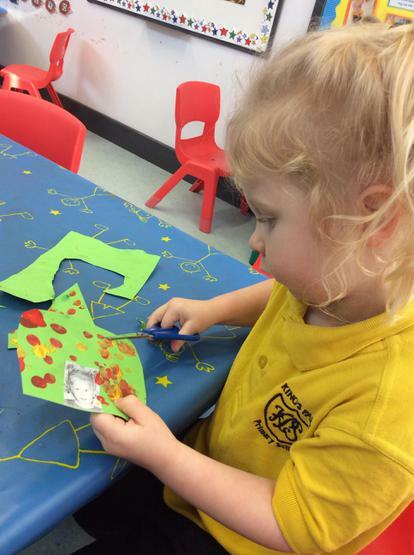 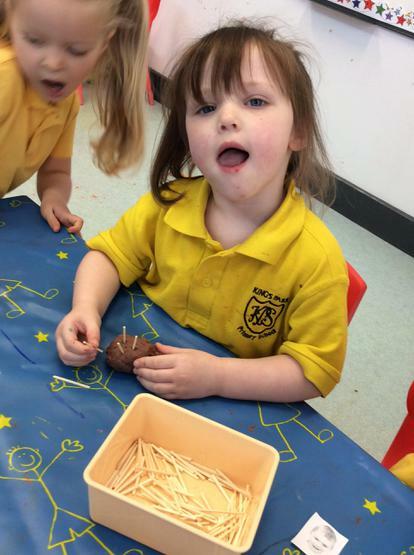 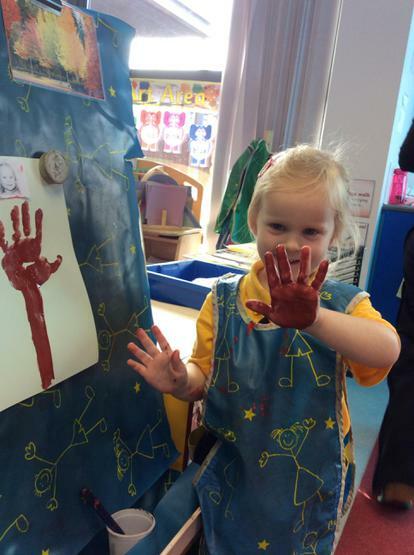 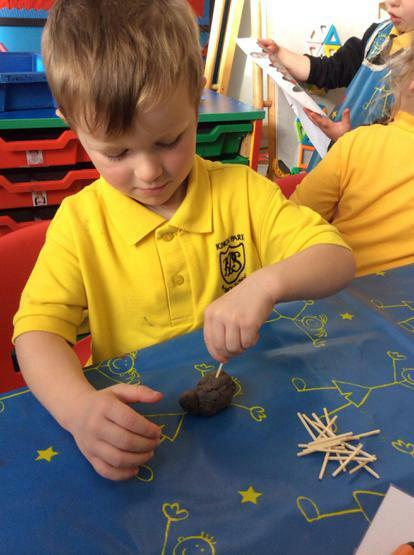 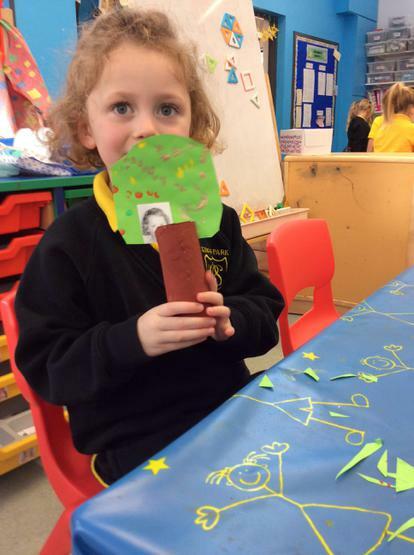 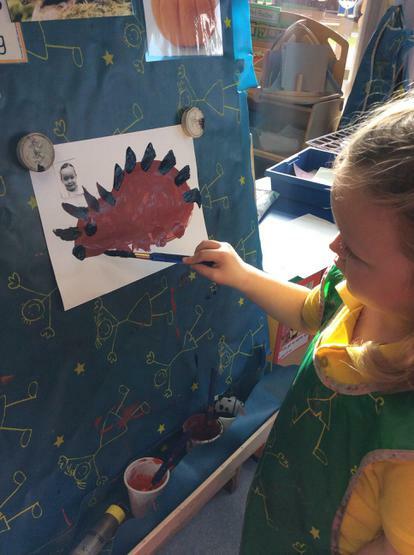 We are enjoying learning about Autumn time in Nursery! 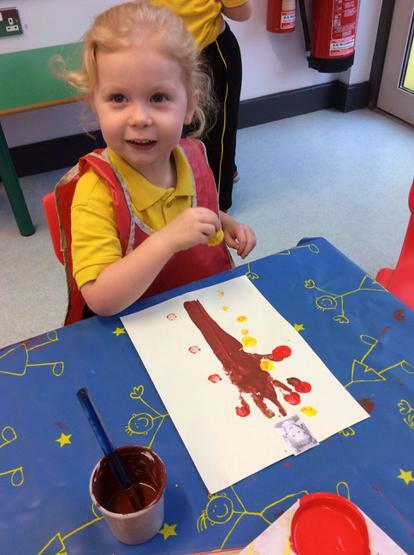 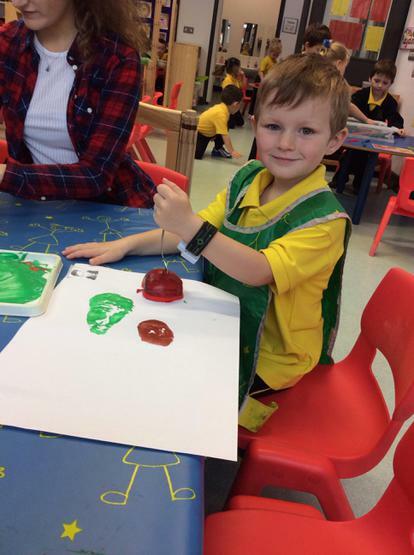 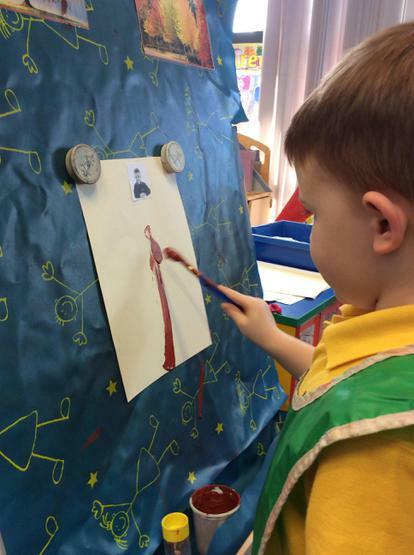 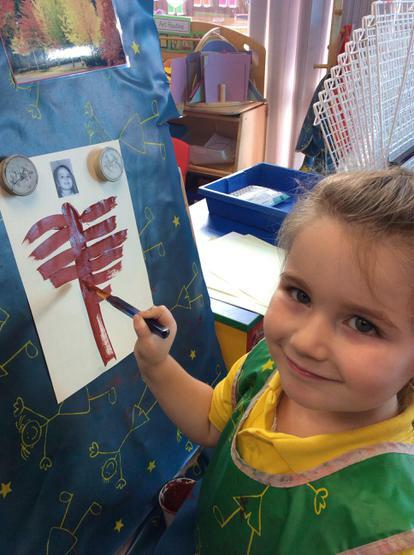 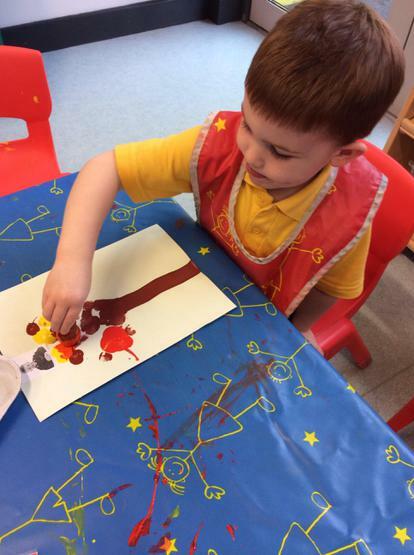 We have been singing a song called Autumn Leaves and because we love it so much, we decided to paint Autumn trees. 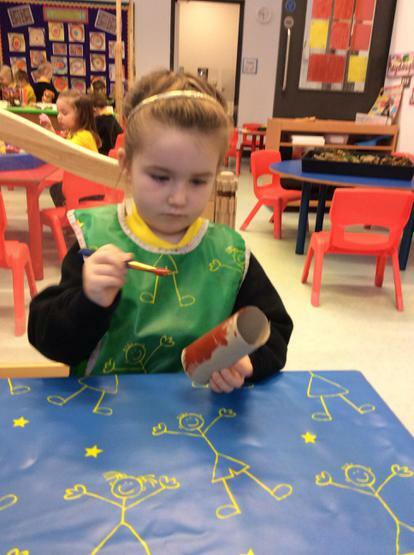 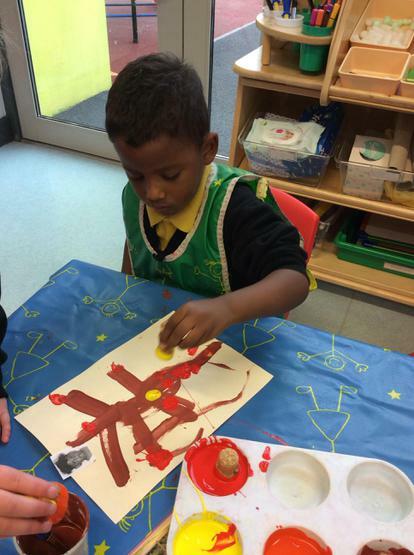 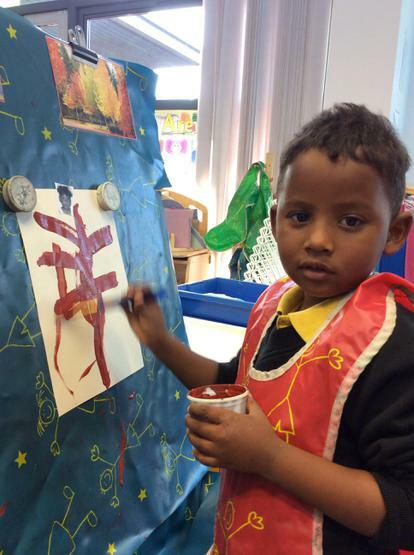 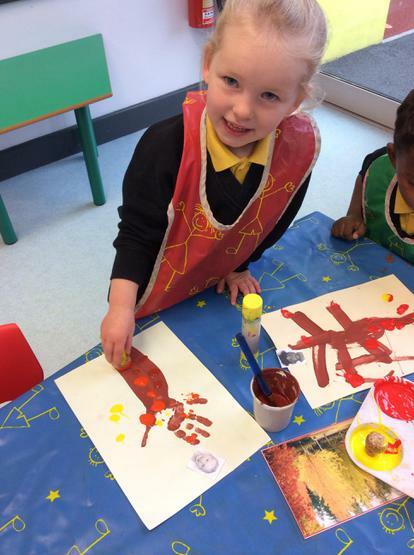 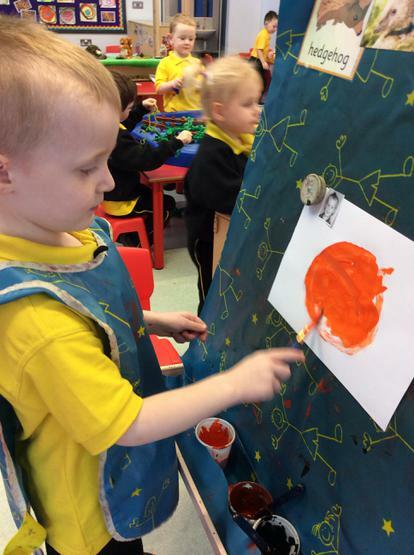 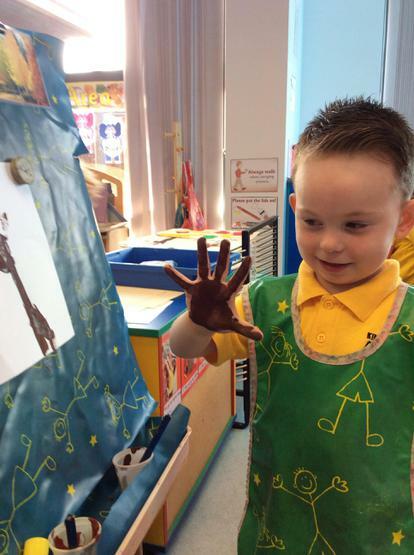 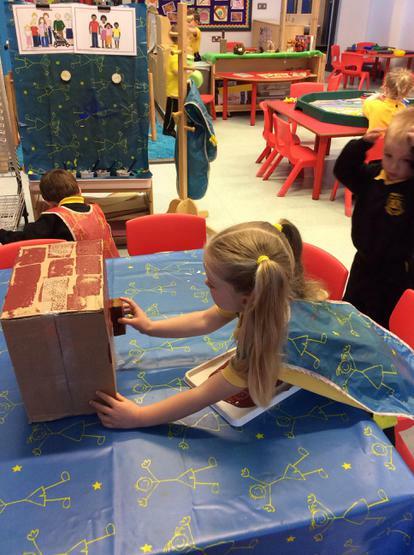 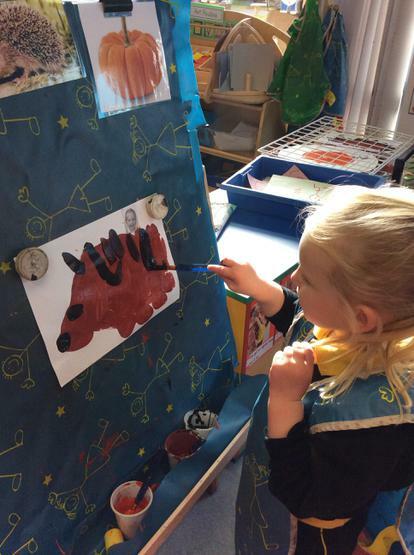 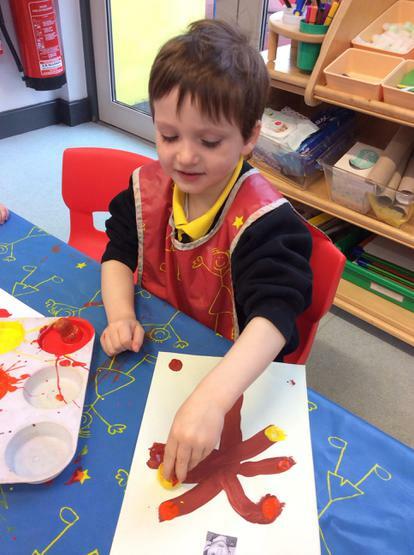 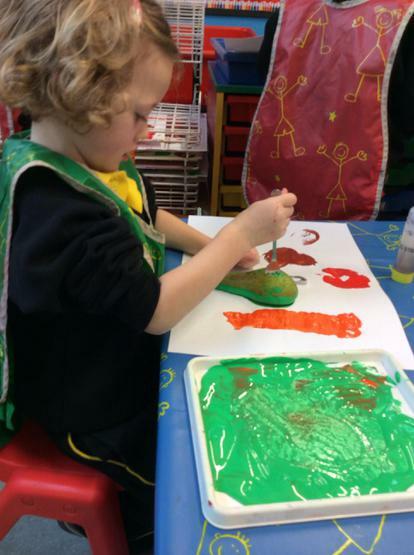 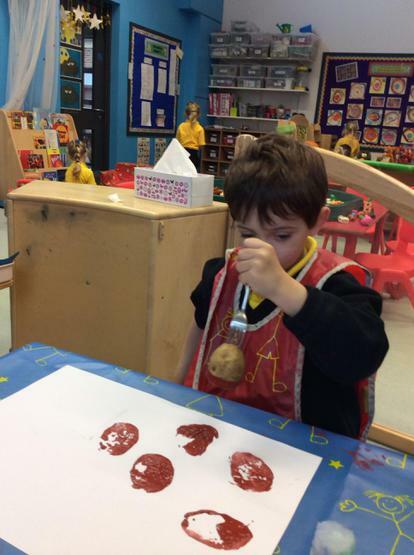 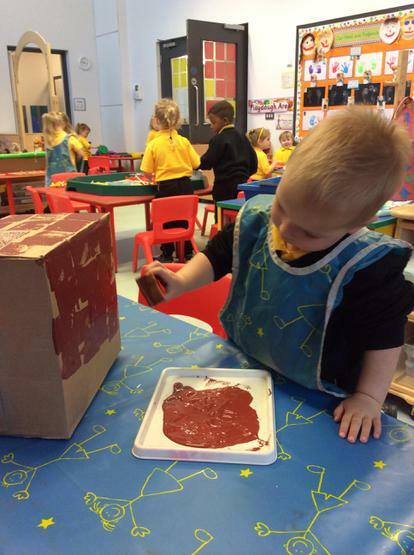 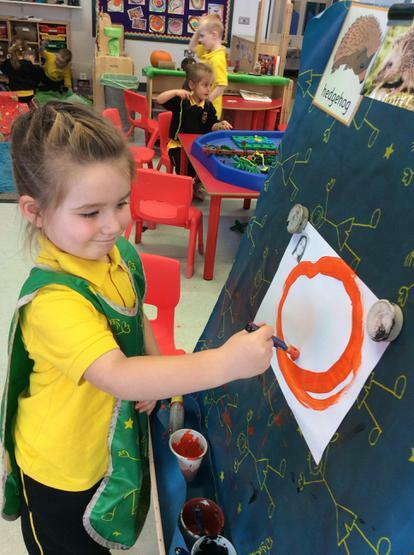 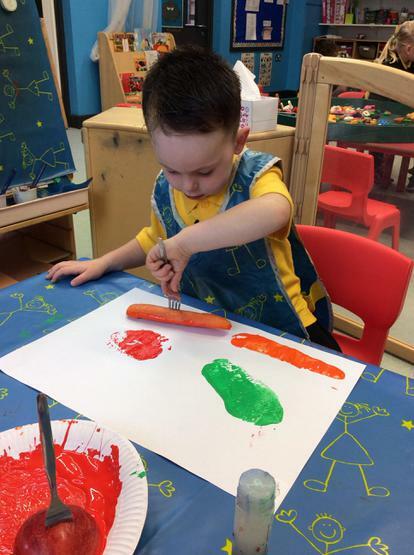 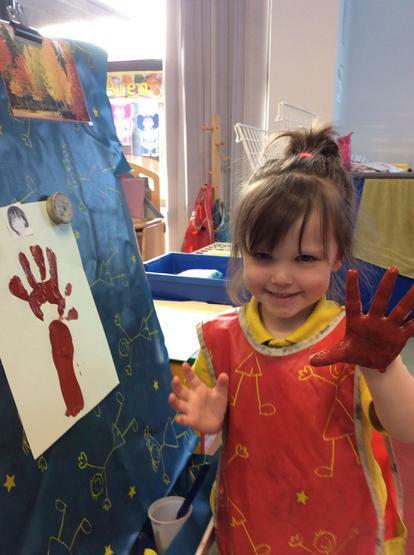 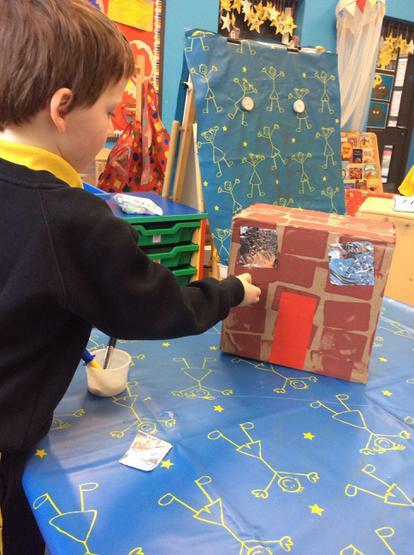 We used paint and our handprints to make the trunk and branches, and then we used corks and cotton buds to paint red, orange, yellow and brown Autumn leaves! 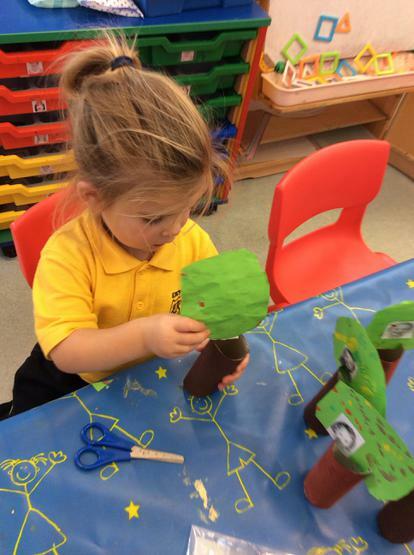 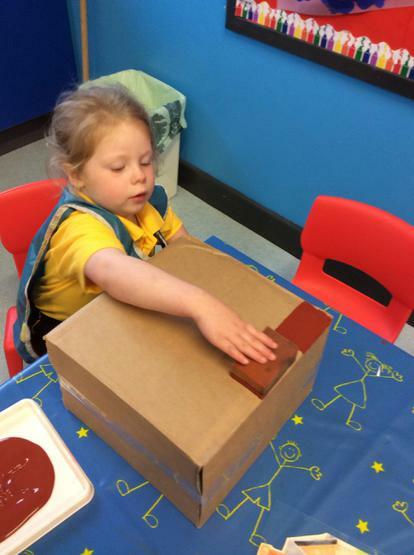 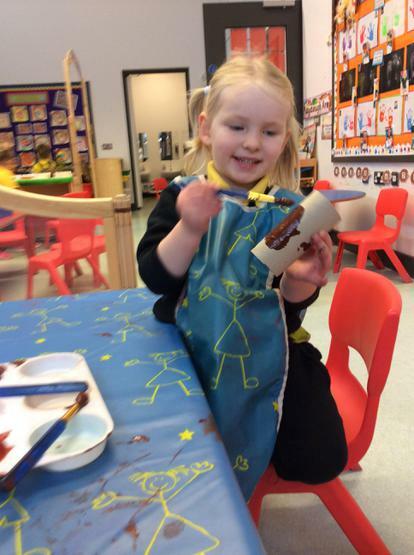 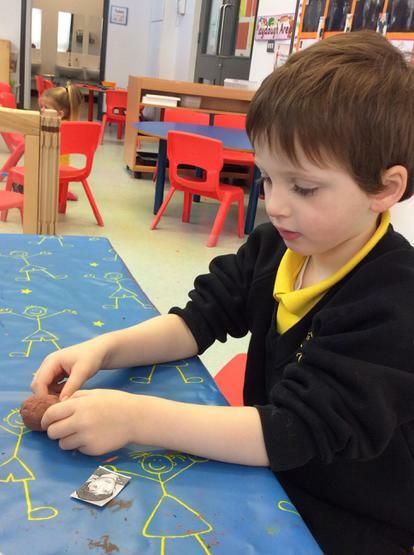 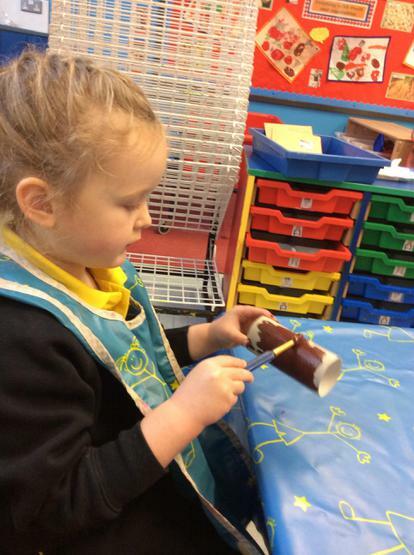 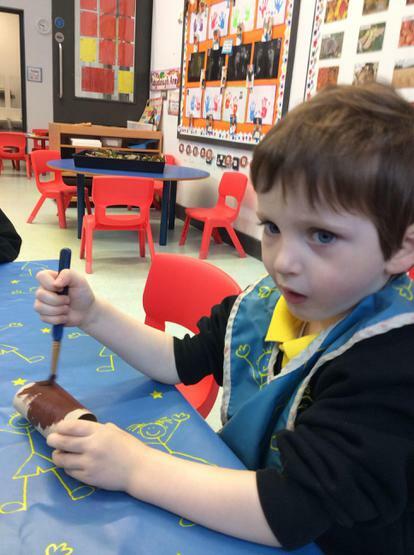 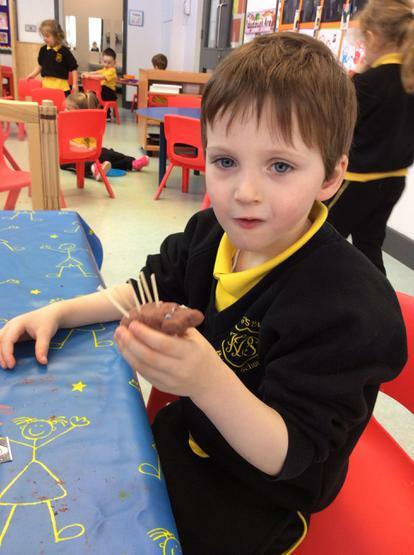 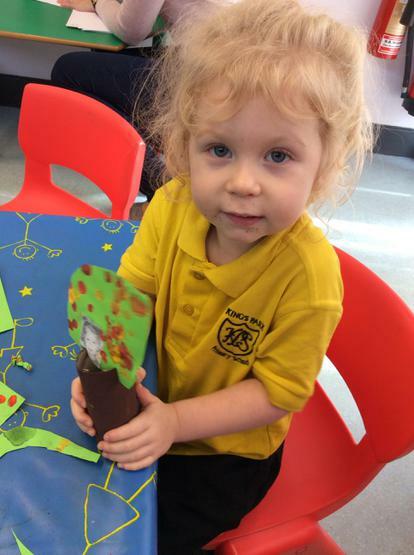 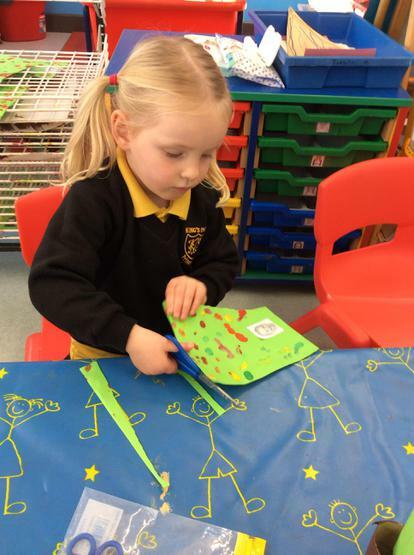 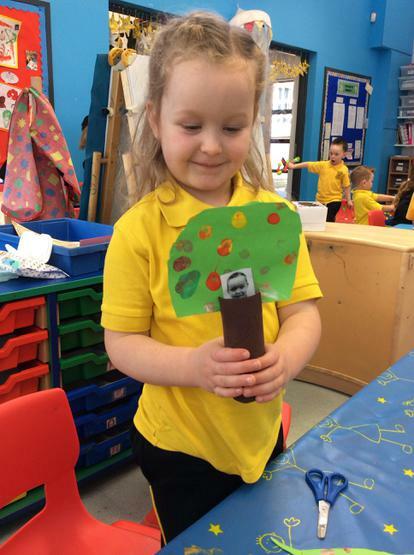 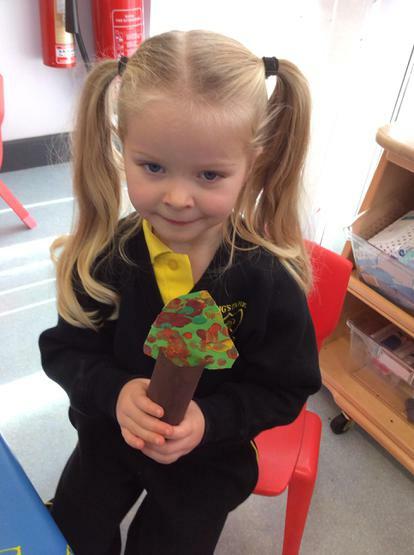 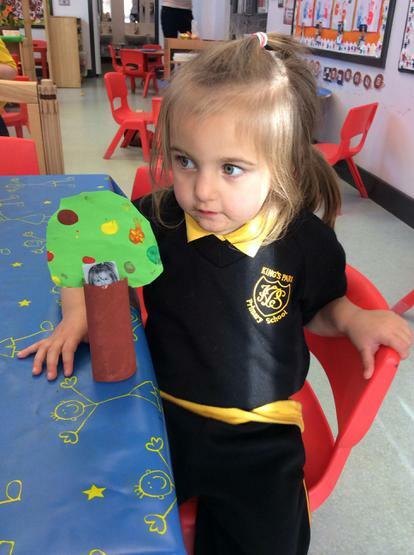 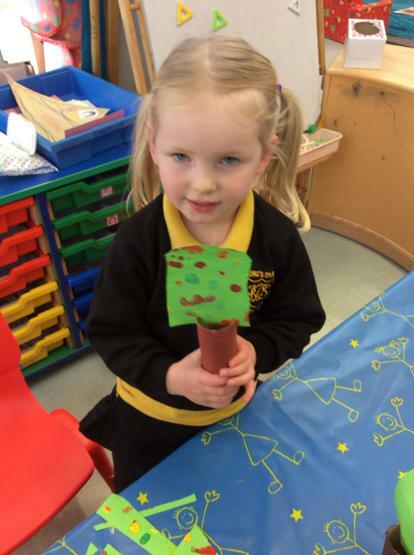 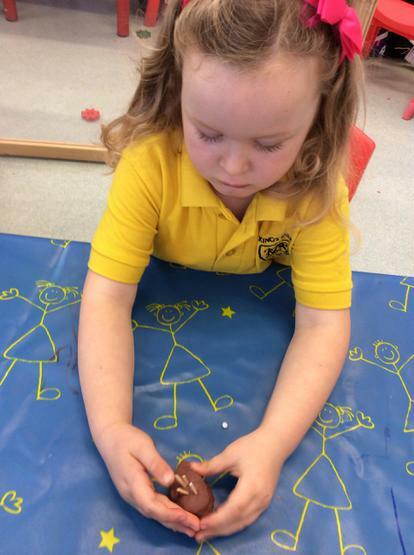 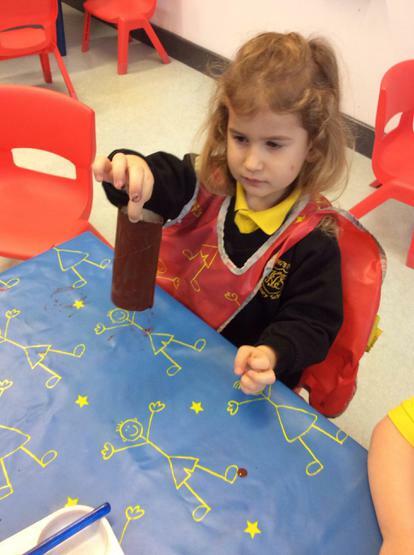 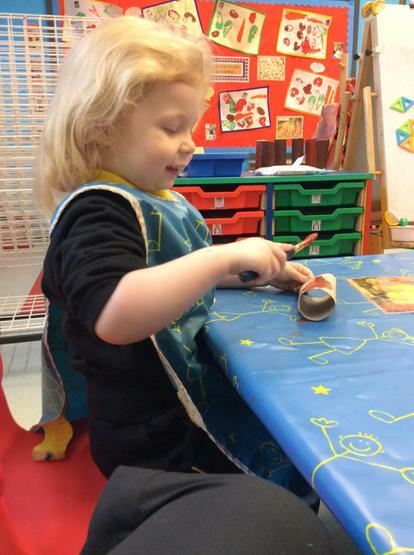 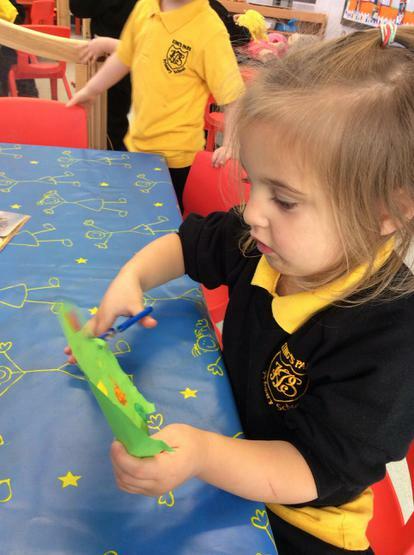 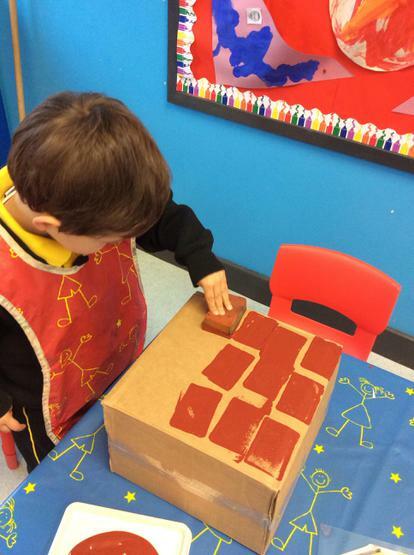 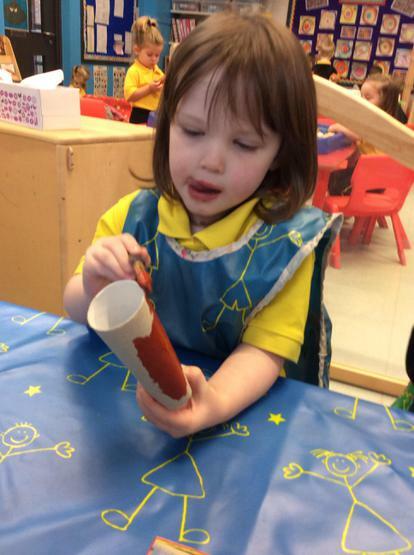 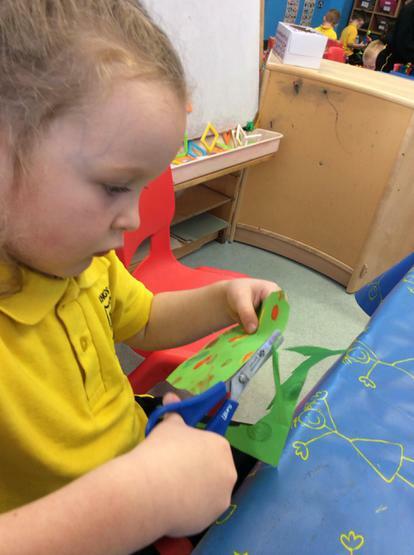 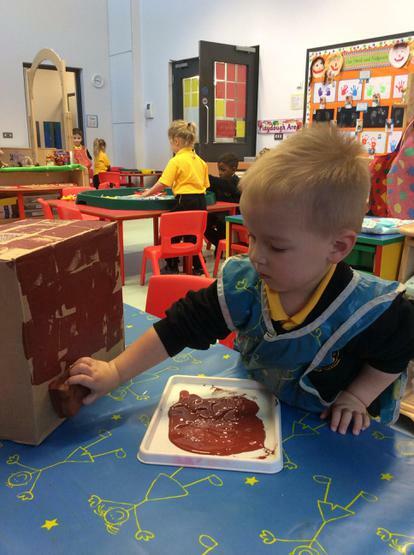 We also made Autumn trees by painting kitchen roll holders brown and using autumnal coloured paints and our fingers to make leaves! 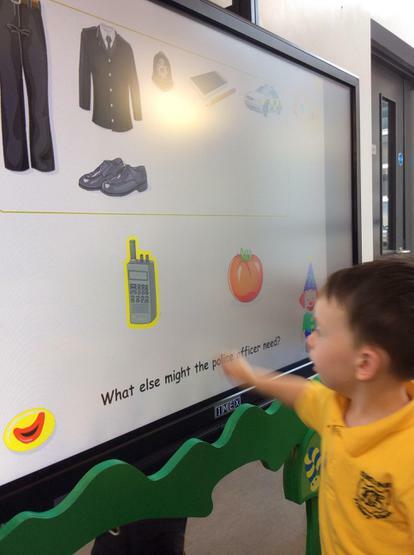 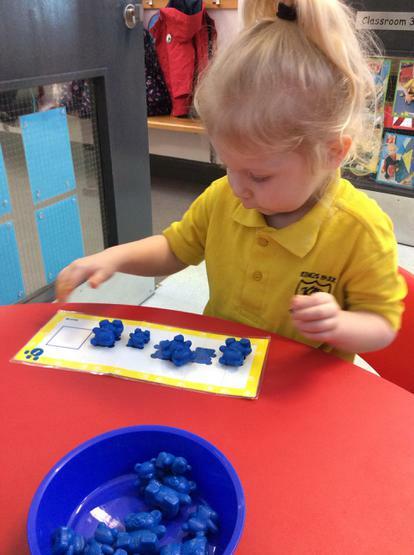 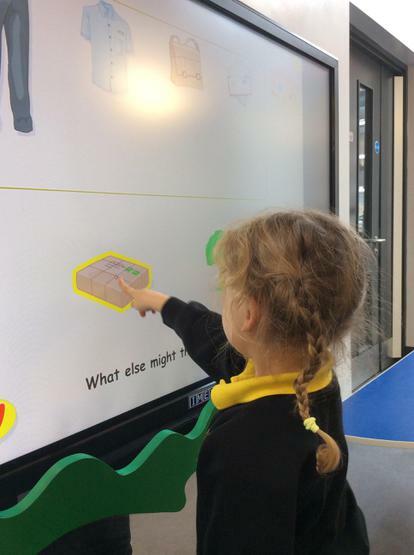 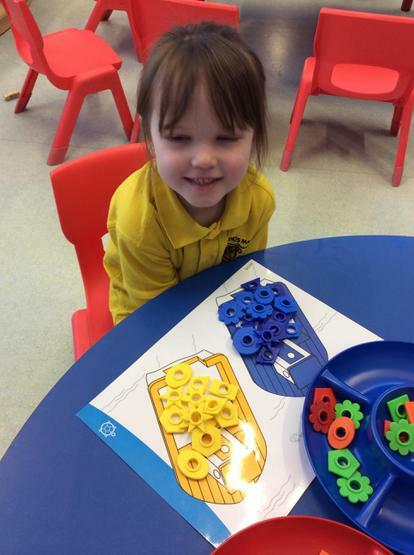 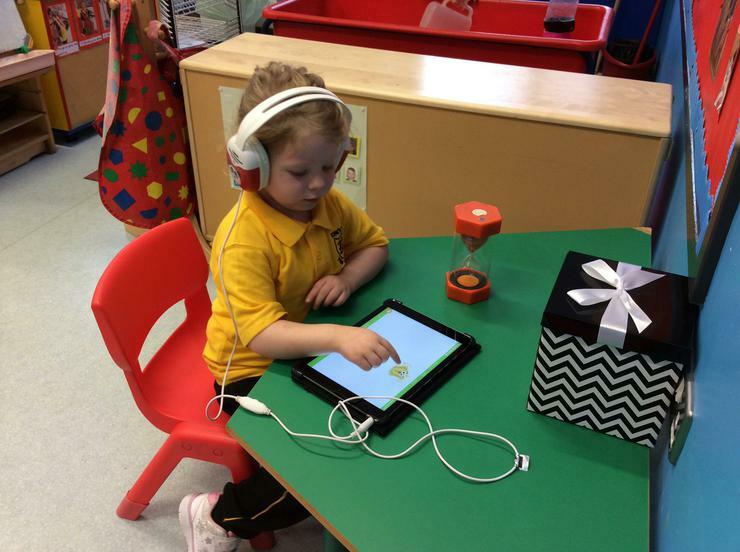 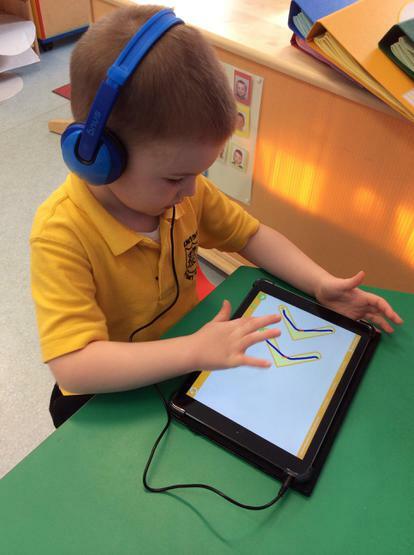 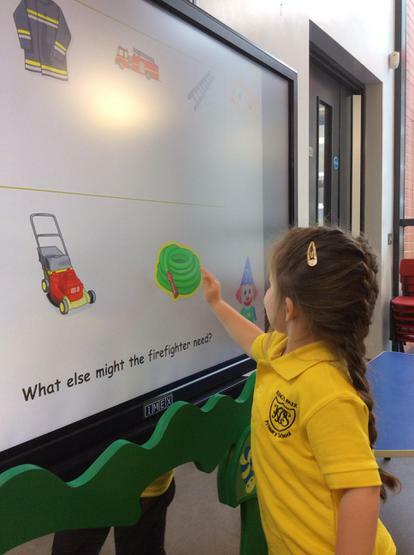 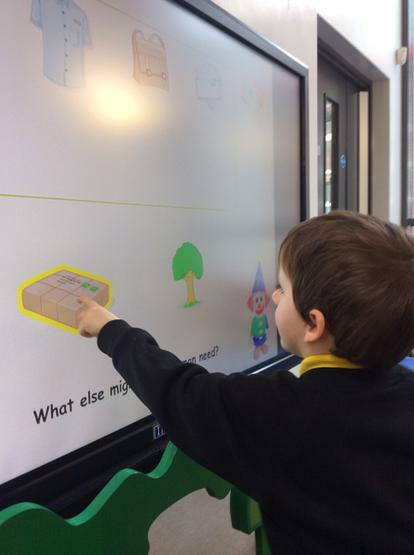 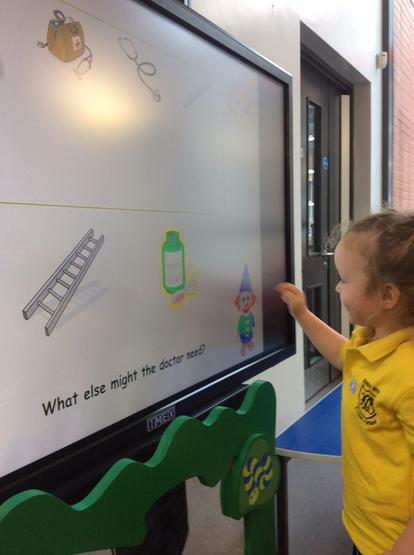 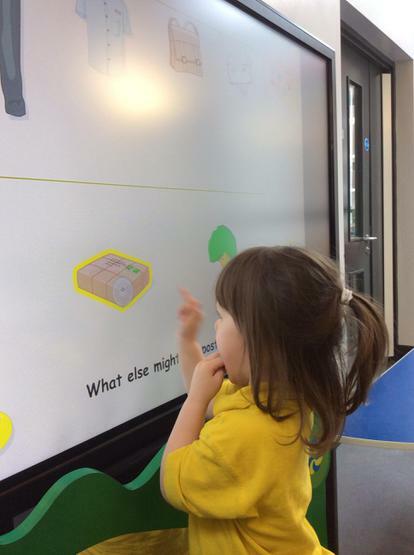 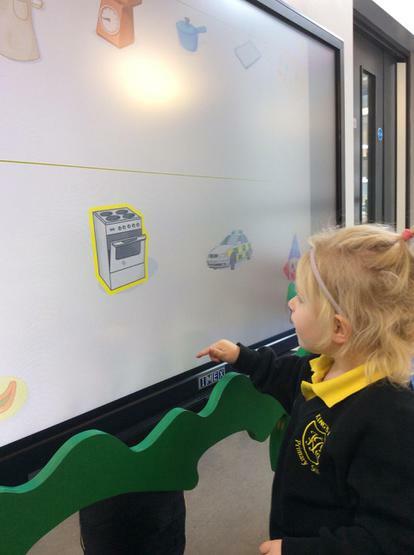 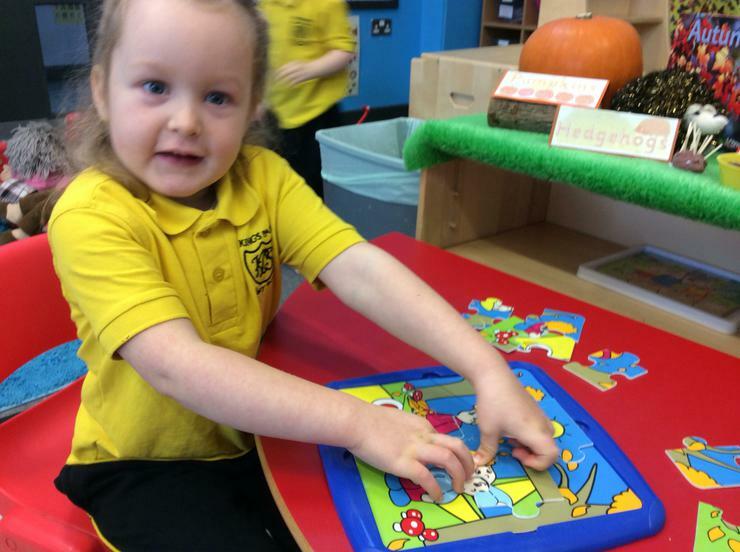 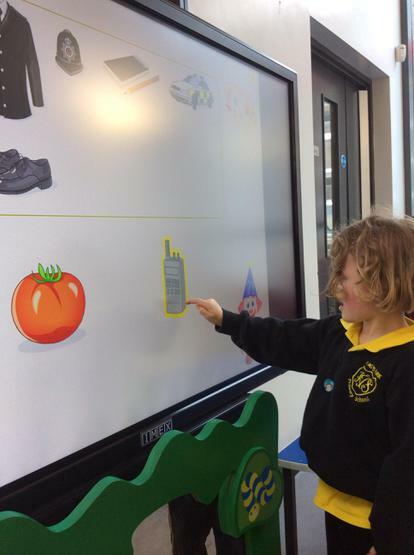 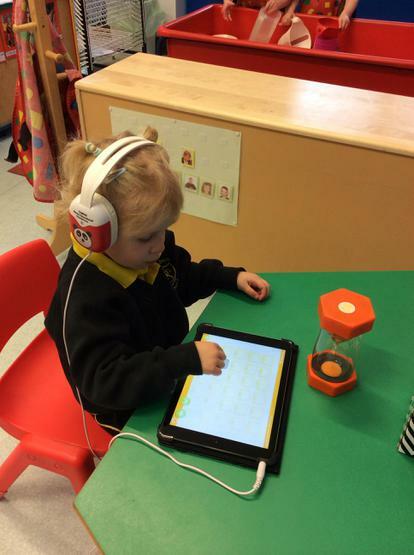 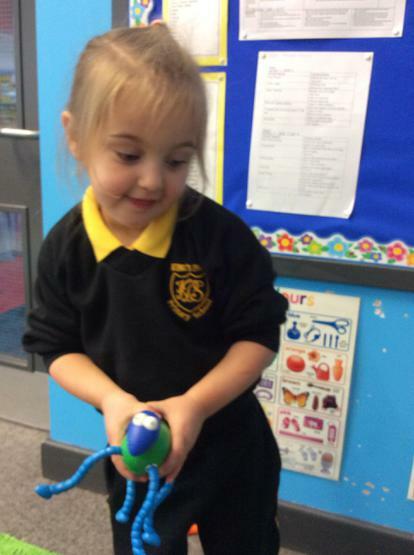 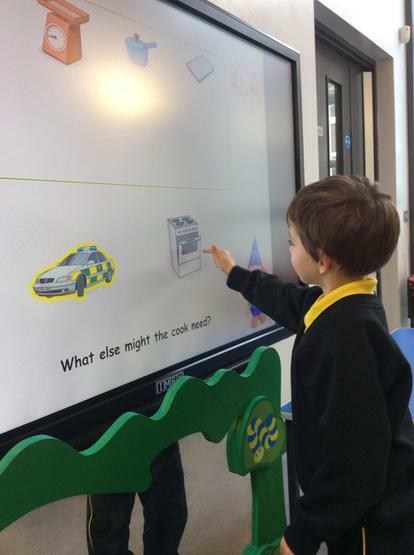 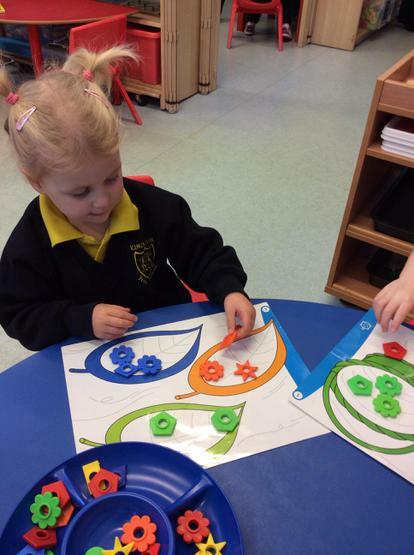 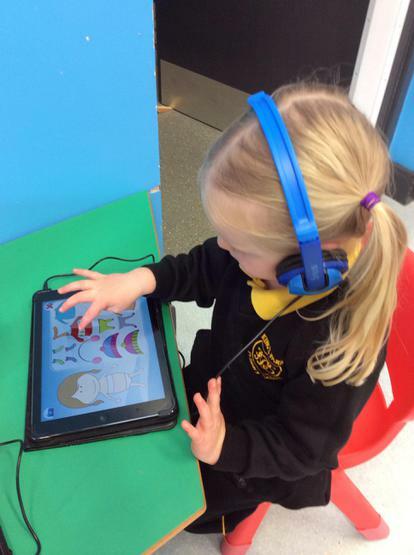 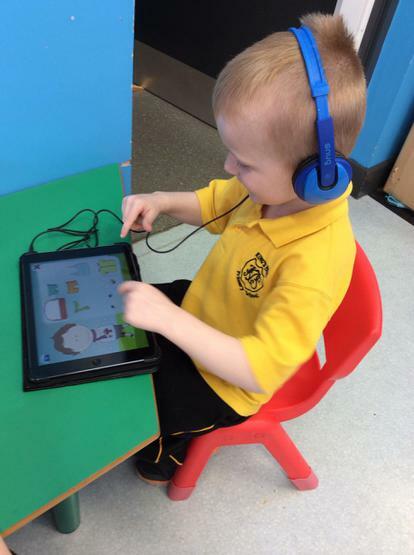 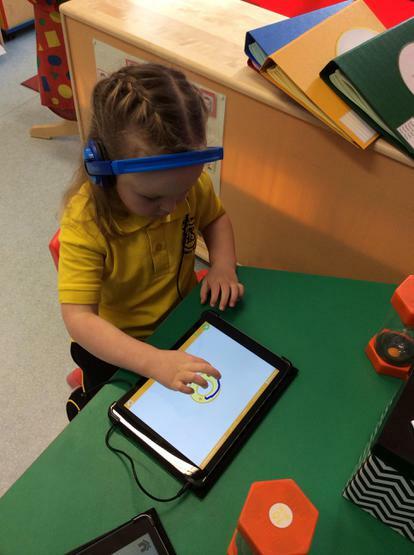 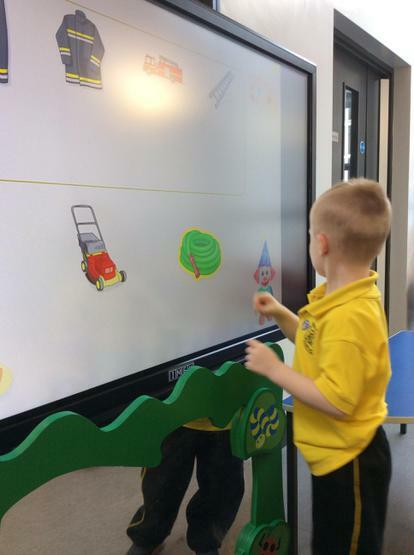 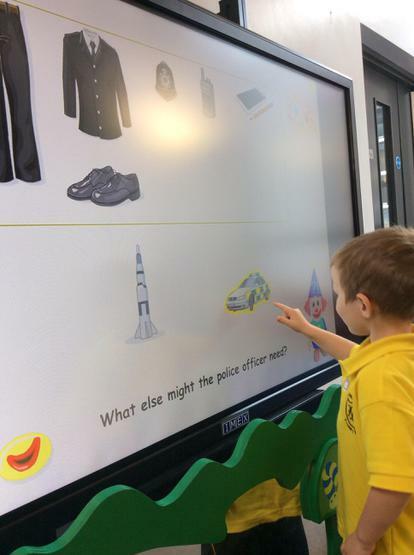 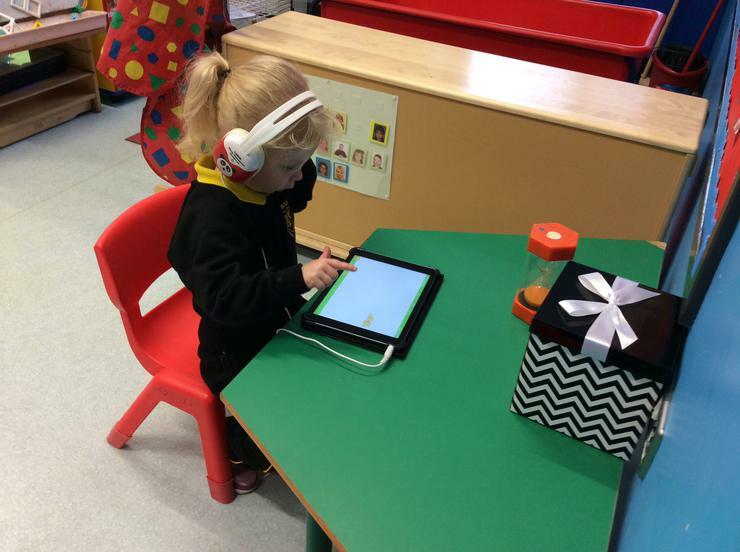 We are enjoying using the iMex board and iPads in Nursery!